5 miles on the schedule today - done. Rest day tomorrow! 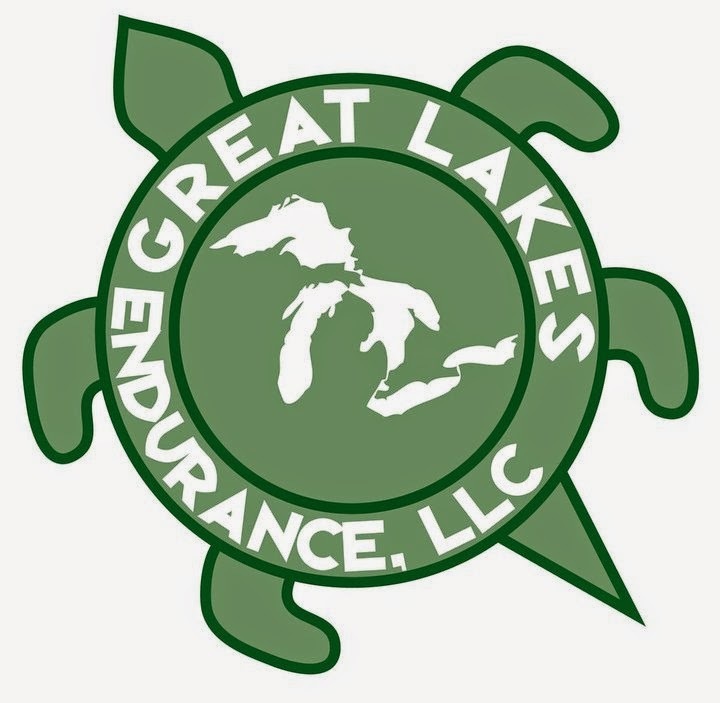 I have one of my favorite races coming up on Saturday - The Crim 10 mile race. There are not many 10 mile races around but this one is a fantastic one. It is the 35th running of the race and they are expecting over 17,000 people to race this year. You should see this crowd - it's unbelievable as we all line up and wait to start the race. The biggest issues usually are the weather - it can be hot here in Michigan at the end of August. It looks like we should top out around 78 degrees that day with sunny skies so it should be in the low 60's to start - awesome for August running! The other issue is the crowd. It does thin out after about a mile or so but that first mile is crazy busy. I remember it slowing me down a little in the beginning. Probably just as well so I don't try to kill myself from the start of the race but it would be nice to PR the race this year. I was 15 seconds off of my last 10 mile race from beating 1:20:00 so I'd like to get that back. We'll see - this is a very challenging and hilly course. I have no expectations going into this race except to have fun! If you are in the area of Flint and not running, it's worth coming down to see all the people and cheer us on. This is one race that has a great crowd support from the neighborhood giving out all kinds of things. Shower from sprinklers to cool you down, donuts, beer, water, music, snacks, candy - you name it, the neighbors had it out there. That's one thing that makes this race really cool. 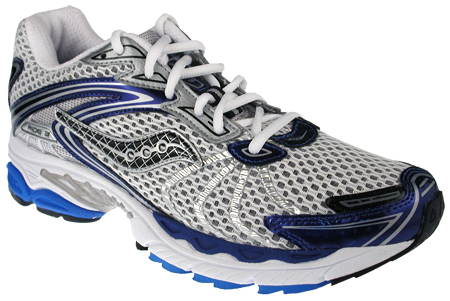 I ordered a new pair of shoes today - very predictable - the Saucony Ride 3. The Ride 2's have been my staple almost since I started running. I can't get them anymore - darn! Although I do have one more pair of Ride 2 I have not started yet. So I had to move up to the Ride 3's which actually are close outs as well. Scored a pair for a little over $50. I hope they fit the same as my Ride 2's so I can order a bunch more at that price! I could have gotten the Ride 4's but they are still $90 a pair and I can't see spending the extra money on them if I don't need to. I'd rather use that savings on races. I've got three pair I'm rotating now but two of them have well over 300 miles on each pair and 400 is my max so I'm getting close on both. Speaking of races, I only have 2 more races planned after the Crim. 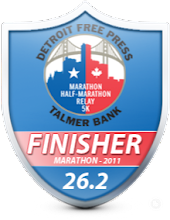 I have a half marathon in September in Lansing and a full marathon in Detroit in October. That's it. I'm not racing anymore the rest of the year. I'm trying to do what I can to reduce the number of races I do so I'm cutting out the Turkey Trot this year. I'm also still planning on cutting my races by about half next year so I will have to pick them carefully. 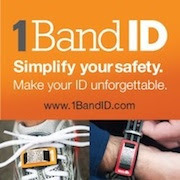 Is anyone thinking about next season already or have you signed up for a race next year already? Have a great day and....Keep Running!!!!!! Good luck for the race on the weekend. love the fact that you have lots of shoe waiting to be used... I have about 8 pairs that I run in at the moment!!! I also want to cut down on racing, or cut it out... but I love running races and I can get competitive. So I plan on running lots of races but racing few. Have fun running this weekend! I am still filling out this season's schedule (My season runs July - May, with my first race usually in October) so I haven't even perused anything for the following season. Good luck!! I haven't started planning for next year yet. I'm thinking it'll probably depend on how this year's marathon goes. Like, do I want to run another marathon or should I stick to halves? Good Luck at the Crim! I was going to sign up but heard it was crazy packed so I opted out. I still have the woodstock-hippie half, CC River Run(which I may find you there! ), Brooksie half and the Detroit Half! Next year, I know the serious series for sure. Maybe the Bayshore and Grand Rapids....not sure yet. I have a golf outing, so I'll miss the Crim this year. Good luck and have a beer and Crispy Creme for me! Good luck on Saturday! I hope to run the Crim one year. So far it has not worked out. I am looking forward to taking a step back from training once Detroit is over with. I am going to run the Turkey trot for fun only. I plan to focus on strength and cross training w/ minimal running. Then, hopefully, I will start marathon training for Boston in mid-January. Ken - I forgot about the Cripy Cremes! Stephanie - Really, less running? I'm surprised but I understand you wanting to be ready for Boston! Jamoosh - a little cooler for you then. First flat tire and a winner!! !